We hurried away from Mount Auburn Cemetery to go to a meet up in Brighton. 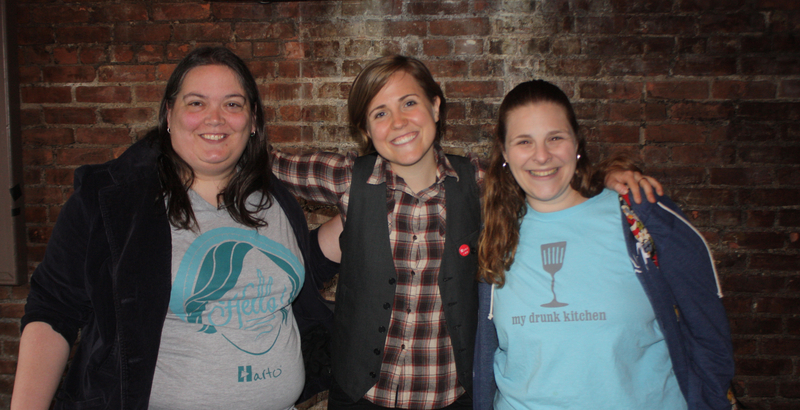 Both Summer and I are huge fans of Hannah Hart and her You Tube Show “My Drunk Kitchen”. Hannah is currently doing a “Volunteer Tour” across America (She will be doing Europe and, I think, Australia later). 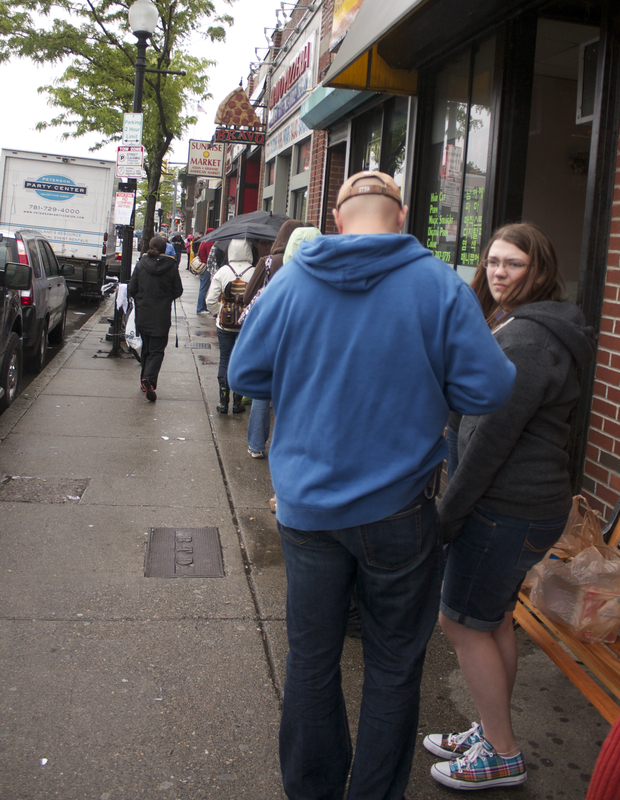 So we stand in line waiting for Hannah and her crew to show up (driving an RV through Boston can be treacherous!) We then did a drop off of food for Pine Street Inn. 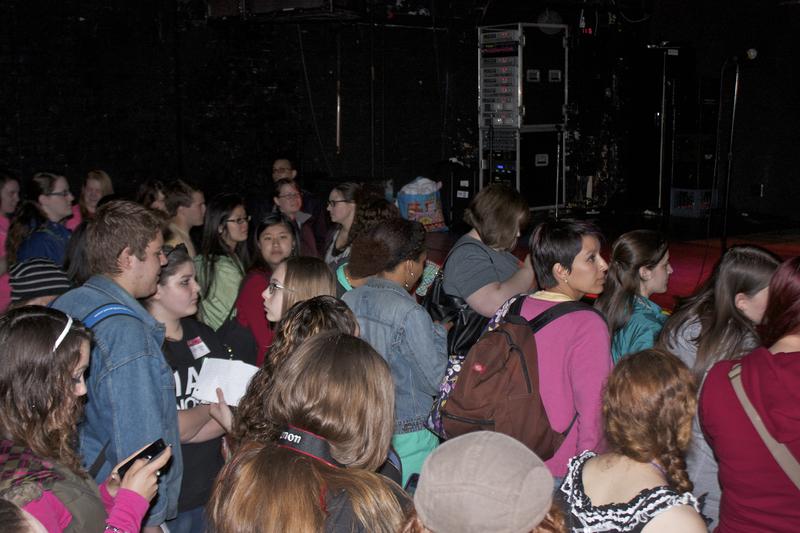 Once inside people mingled and chatted.